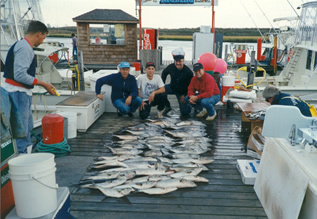 The Bluefish is the foundation of recreational deep sea fishing in ocean waters off the northeast coast, specifically New Jersey Charter Fishing. 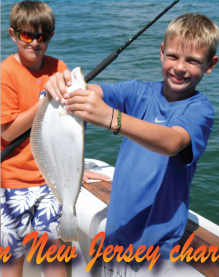 N.J. Charter fishing for bluefish is very dependable. 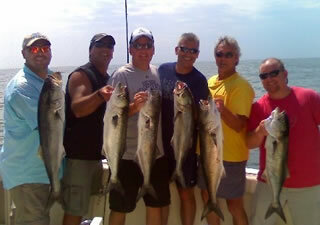 They return year after year from May through November to provide successful fishing charters. ‘Pound for pound’the bluefish is the toughest fighter, and strongest fish in the ocean.They pull out drag, jump, dive deep and never give up! Oh yea…..they bite too! Wayne, the first mate on the Blue Chip, bleeds every fish and ices it down as they are caught. What a difference this makes in the preparing, cooking and eating these New Jersey bluefish. Some days, charter fishing in NJ , we catch blues right up against the beach, and often we have to go 20 miles from the Inlet. We will go where ever the fish are! The bluefish we catch can range from 2 to 20 pounds, and generally school up according to size. Bluefish can be caught by chumming, jigging or trolling. Depending on where the bluefish are located on a particular day, we decide which method is best. Bluefishing can be fast and furious,and it is common to have six anglers hooked up at the same time! There are few thrills in deep sea fishing that compare to fighting and landing a big blue, baiting up quickly, dropping it back in the water, and feeling another bluefish slam that bait. 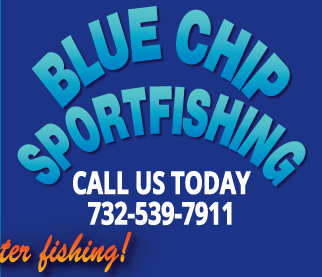 You can depend on the crew of the Blue Chip charter boat to give you a comfortable ride to the fishing grounds and put you on the blues. 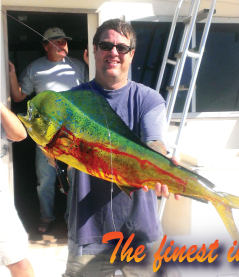 Returning to the dock, Wayne, the first mate on the Blue Chip will clean and bag your catch, so bring a cooler along.